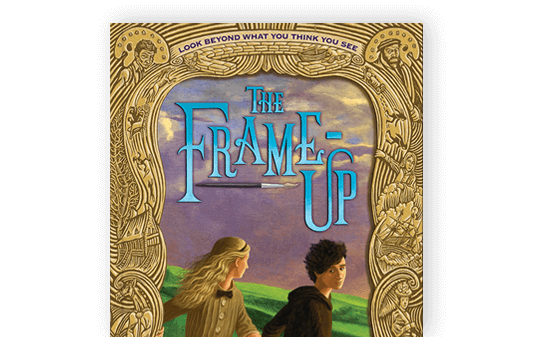 There’s nothing I love so much as a middle grade novel in which the main characters – especially young girls – love science. I loved this book so much! Our heroine Madeline is dealing with so much: the loss of her beloved grandfather, facing a new school without her best friend Elizabeth by her side, she and her sister dealing with a potentially life-threatening condition. No wonder she spends a lot of her time jotting down SOPs to help her cope (Standard Operating Procedures) with life. But the SOPs don’t seem to be helping anymore. In fact, they might be making things worst. 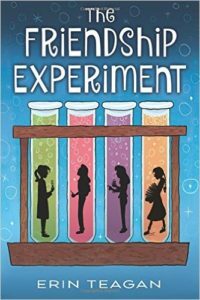 Teagan has crafted a beautiful story about a smart girl who loves science (yay), her loving, yet realistic family, the ups and downs of middle grade friendships and learning to cope with loss and change. Wonderful book! Odawahaka has always been too small for Maggie’s big scientific ideas. Between her stuck-in-a-rut mom, her grumpy grandpop, and the lifetime supply of sludgy soda in the fridge, it’s hard for Maggie to imagine a change. But when Lena moves in with her creative spirit and outrageous perspective, middle school takes off with a bang. Someone starts pulling the kind of pranks that send their rule-loving new principal into an uproar—complete with purple puffs of smoke, parachuting mice, and a scavenger hunt that leads to secret passageways. Suddenly the same-old football games, election for class president, and embarrassing stories feel almost exciting. And for the first time in her life, Maggie begins to wonder if there might be more to Odawahaka than she ever saw coming! 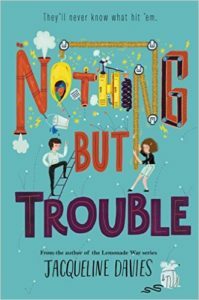 Humorous, smart, and full of small-town heart, Nothing But Trouble will have mischief-loving readers caught up in the cleverness and determination of two girls who can’t be held down. A jewel of a book, featuring two smart girls who use both sides of their brain – creativity and scientific-based – to undertake a series of hacks that will make the school year unforgettable to everyone. Highly recommend! Wonderful characters, rich friendship, intelligent and thoughtful storytelling at its best! I’d love to get recommendations for other books featuring science-minded heroines! Do share!